Developer : 1290 design d.o.o. Hair Designs was remade from scratch! This means better perfomance, faster loading times and way smaller app size. 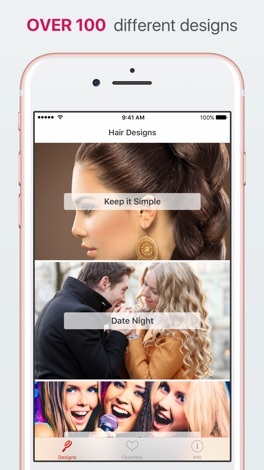 Hair Designs is the perfect app to make your hair look stunning. 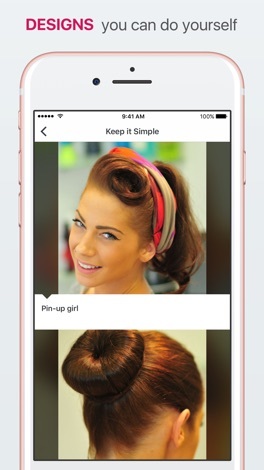 If you ever thought that having a great hairstyle doesn't requires a trip to your hairdresser, then this app is exactly for you! 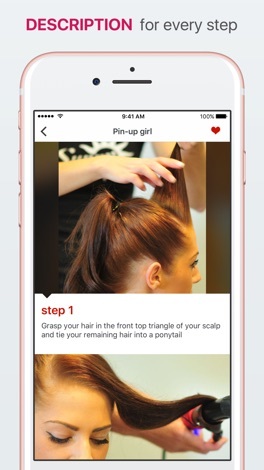 Hair Designs is the only app of its kind on the App Store and features many hairstyle tutorials. The designs are specifically chosen so that they can be done by yourself at home or with a friend. Every tutorial consists of step-by-step instructions and retina images, each targeted specifically at someone, who is not an expert. You can always swipe to the right and see yourself in our smart mirror, that can zoom in on your eyes and lips at your command. And what if you really like a particular design? 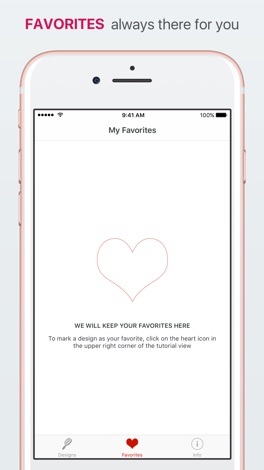 Mark it as one of your favorites so it's always at your fingertips. And when you're done, you can take a photo of the finished design and upload it to Facebook or Twitter, so everyone knows, what an artist you are. The designs are divided into packs of 10 hairstyle designs and each has its own theme, so there is something to be found for everyone – from casual to crazy party designs.There are currently four packs available, with more on the way. First pack is available for free, while each additional pack can be purchased inside the app. IQCMSHD is a surveillance software, which support live video stream, video record and playback, video remote playback, snapshots and PTZ control, etc. Delay Calculator is intended primarily for sound engineers who need to adjust the delay between sound sources. This application allows to calculate the time (in ms) it takes for sound to travel a distance (in meters or feet) by the user. May also indicate the room temperature for greater accuracy. Easy to use, fast and very useful. More by 1290 design d.o.o.